This CGF Wash-filling-capping 3-in-1unit: Beverage Machinery is used to produce polyester bottled mineral water, purified water, alcoholic beverage machinery and other non-gas beverage machinery.Beverage Machinery can finish all the process such aswashing bottle, filling and sealing, it can reduce the materials and Outsiders touch time, improve the sanitary conditions, production capacity and economic efficiency. 6. 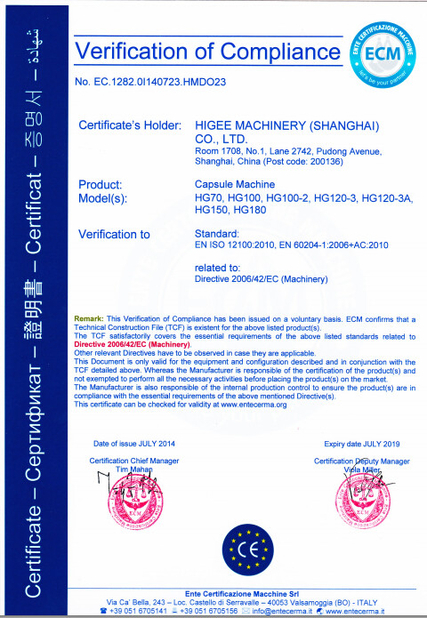 Host adopt advanced PLC automatic control technology, the key electrical components from famous company such as J1. apan's Mitsubishi, France Schneider, OMRON. (1) Mineral water filling packing machine / line / plant includes: Washing-filling-capping 3 in 1 machine, lamp inspection, label shrinking machine, inkjet printer, hot shrink film packer and conveyors. It is a full automatic production line. (2) The Mineral water filling packing machine / line / plant used in the beverage filling operations. 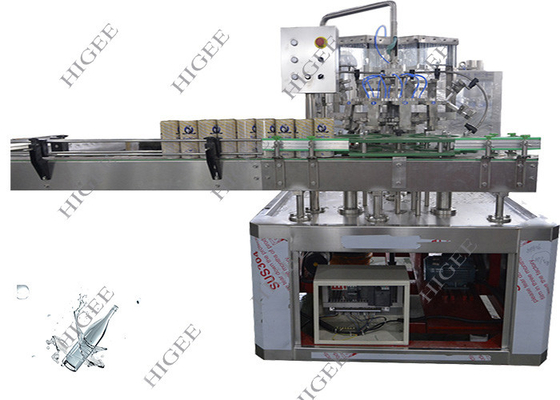 The three functions of bottle wash, fill and seal are composed in one body of the machine. The whole process is automatic. 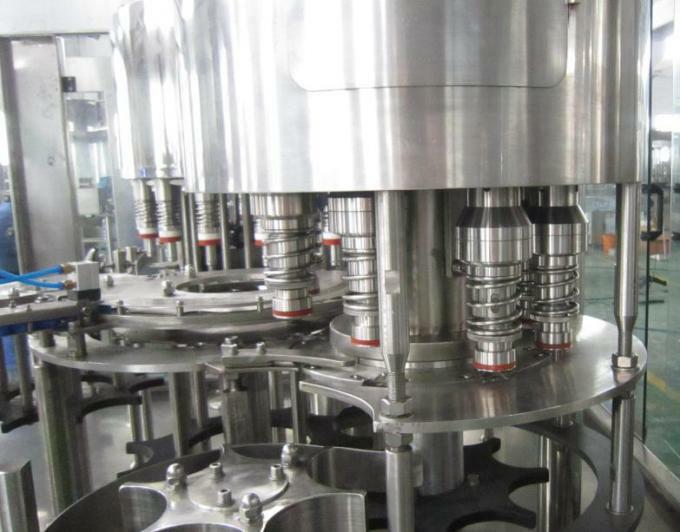 (3) The Mineral water filling packing machine / line / plant is used in filling juices, mineral water and purified water in bottles made of polyester and plastics. The machine can also be used in hot filling if being installed with temperature controlling device. The handle of the machine can be freely and conveniently turned to adjust the machine to fill various types of bottles. (4) The filling operation is faster and more stable because the micro pressure filling operation of the new type is adopted. There the output and benefit of the machine is higher than the machinery of the same specifications. (5) The advanced Siemens programmed controller (PLC) is adopted to control the machine to run automatically while a transducer is used in the bottle -entering chains to adjust speeds and coordinated with the transducer of the main machine to make the operations of moving bottle forward steadily and reliably. (6) It is convenient to operate with higher automation because every part of the machine is inspected to run with photo electricity, On the bases, the filling parts of the machine can be changed into filling methods of lower vacuum. (7) The filling category of lower vacuum (Z type machine) is applicable in glass bottles, filling alcohol, soy and such like materials. 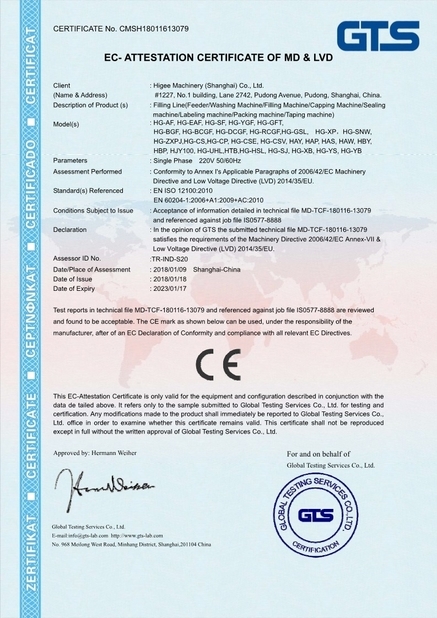 The aluminum theft proof cap and plastic cap can be adopted. The machine is an idea-preferred equipment for beverage maker.